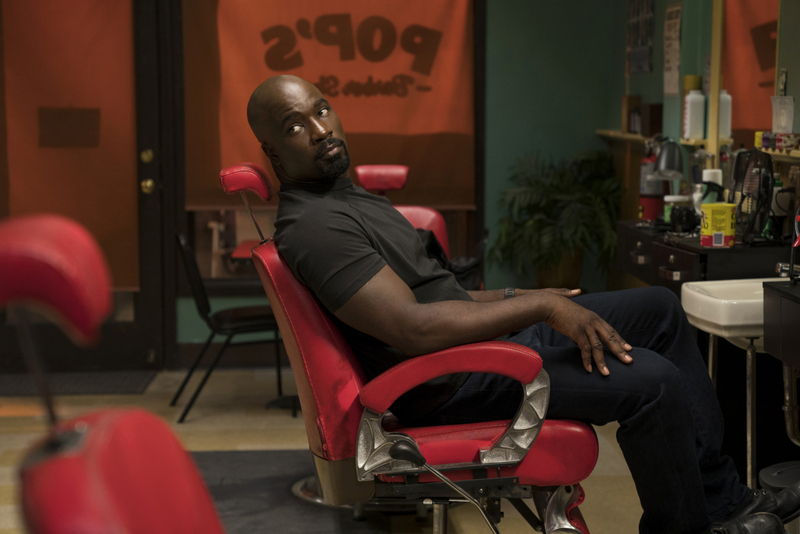 One half of The Defenders – namely Danny Rand and Luke Cage – reassembles for this newly-unveiled action shot from Luke Cage season 2. 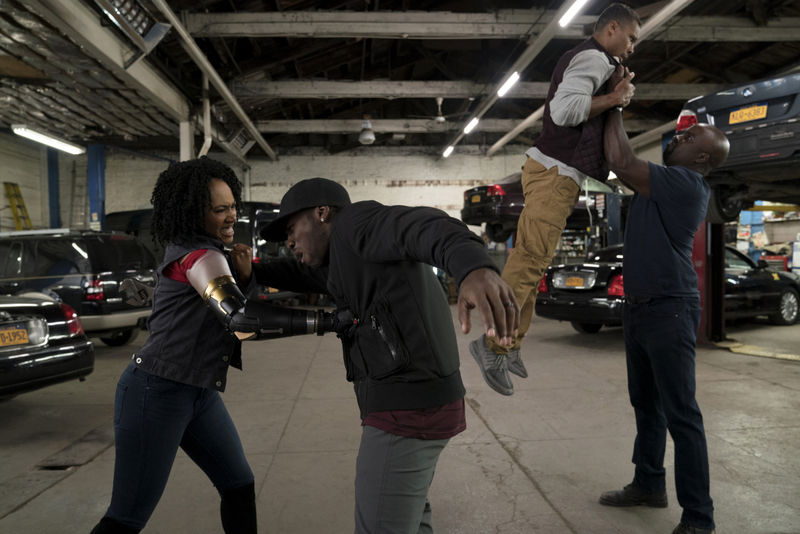 Currently scheduled to arrive via Netflix on June 22nd, the Marvel superhero drama is expected to up the ante quite considerably for its sophomore installment with a darker story and “a lot more fighting.” The question, really, is whether series showrunner Cheo Hodari Coker can craft a villain that’s every bit as menacing and wildly unpredictable as Cornell “Cottonmouth” Stokes, as Jessica Jones season 2 is living proof that a TV series can struggle to replace such a scenery-chewing baddie. 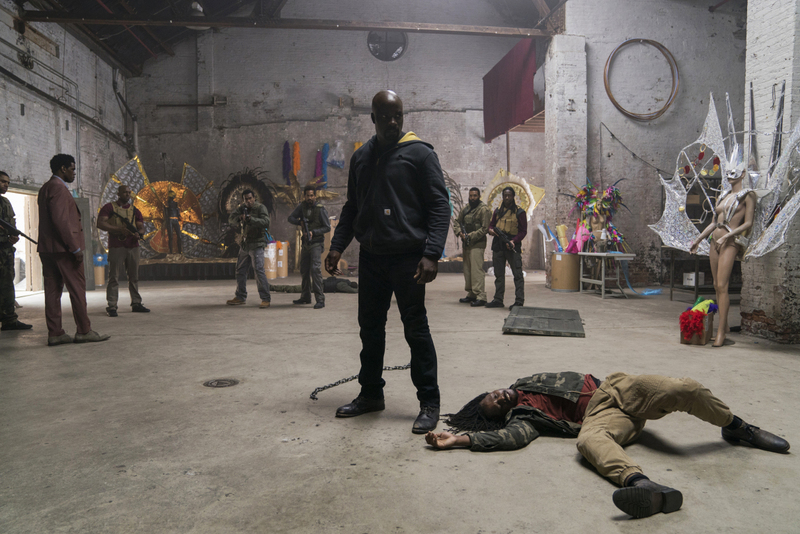 But it’s fair to say that Luke Cage‘s second season has an ace in the hole: Danny Rand, AKA the Immortal Iron Fist, who is pictured alongside Harlem’s hulking hero in this brand new shot for season 2. Dressed in their usual attire, it appears our street-level heroes have come across some form of criminal hideout, though it’s impossible to know for sure. 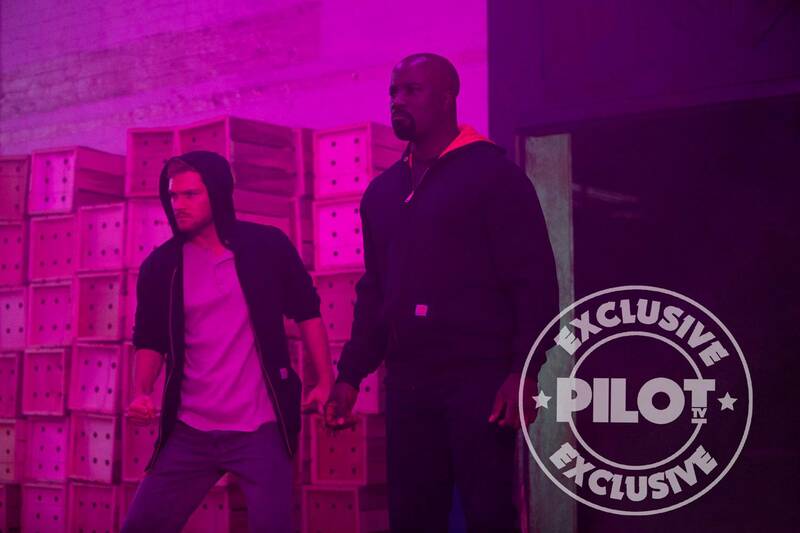 You can, however, go up close and personal with Marvel’s Heroes for Hire with the photo down below, which features an added splash of purple saturation that wouldn’t look out of place in a John Wick movie – or Atomic Blonde, or Blade Runner 2049, or any one of the other movies that have adopted said neon color palette. Season 2 of Luke Cage has been slated for a Netflix premiere on June 22nd, which tells us that the third installment of Daredevil ought to be with us before the year’s end. And after that? Another round of The Punisher and Iron Fist – presumably at the expense of The Defenders.